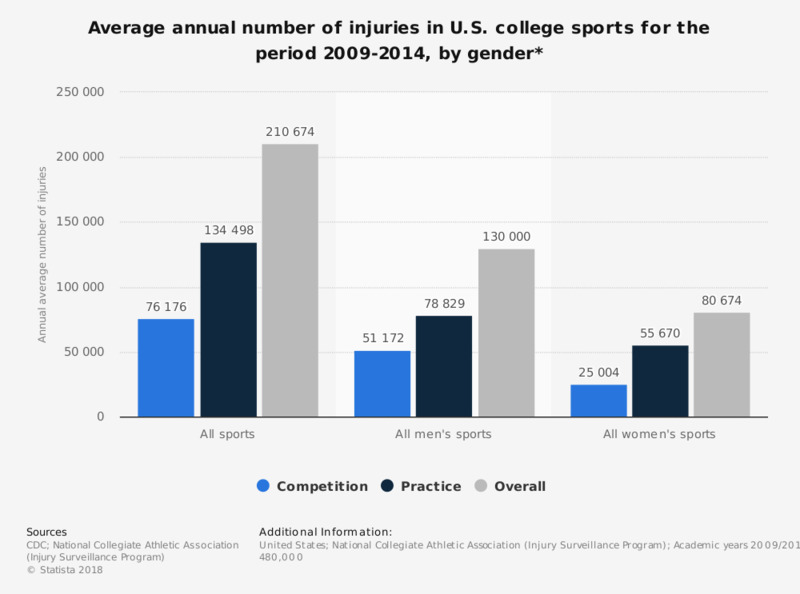 This statistic represents the average annual estimates of the number of injuries in competition and practice by gender based on 25 championship college sports in the U.S., including academic years 2009/2010 to 2013/2014. The overall average annual estimate of sports injuries for both males and females is 210,674. * Based on 25 championship sports. All numbers are estimates.